I hope this finds you well. We have spaces open in our Yoga retreat, December 18-24, and our mindfulness meditation retreat, January 13-17. We would love to celebrate the end of this year and/or the beginning of next with you – give yourself the gift of retreat, yoga and meditation! Information on the Yoga retreat is attached; information on the meditation retreat can be found on our website, www.womenforpeaceandjustice.org. Join us to celebrate year?s end with seven days of yoga, meditation, and relaxation. There will be two daily sessions of yoga, guided meditation, dharma sharing and ample personal time for rest and reflection. Delicious and nutritious vegetarian meals and the simple beauty of IWP?s center will support your yoga and meditation practice. We will end on the 24th with a morning yoga session and festive brunch. 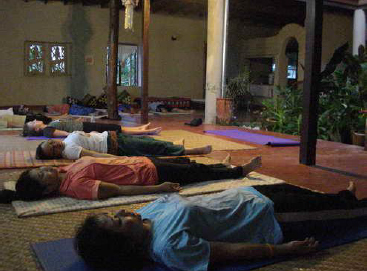 The retreat is suitable and open for practitioners at all levels including beginners. 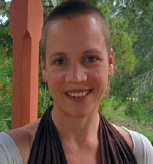 The retreat will be lead by Amy McDonald from Australia and Ouyporn Khuankaew, IWP co-founder and trainer. Amy is a yogini and writer who teaches in a tiny cottage as kangaroos hop through her garden. She shares her yoga for joy and peace and warmly welcomes beginners. Ouyporn leads meditation retreats that focus on making Buddhism engaged, meaningful and relevant in today?s world. Fees for the retreat include food, accommodation, and transport to/from the center from Chiang Mai. Fees are on a sliding scale based on your ability to pay between 7,000-8,000 baht.